Ensuring the tenant, you choose is right for your property, and your neighborhood is a sure way of receiving your rent on time, your property intact and making sure your tenants stay in your premises for many years. 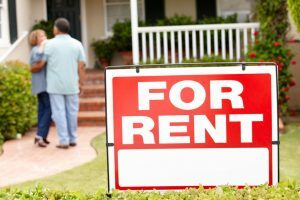 Here are four reasons landlords must require tenant background checks. Keep neighbors and your community safe – It is important that you rent to a tenant that does not put your neighbors or your community at risk. Therefore, background checks on tenants will rule out any past criminal behavior and ensure that your tenant is a responsible individual. Protect yourself – Background checks on tenants will clearly let you know if your tenant is responsible and will not harm your property or your neighbors. In some states, landlords can be sued if a tenant misbehaves in an inappropriate manner and the owner has not done a tenant background check. Stop tenants from hiding information – A tenant background check will let applicants know that they will have to offer accurate information on their application form. Most tenant background checks will also include a landlord credit check. A credit check will indicate if a potential tenant can pay your rent on time. Reduce tenant turnover – Finding a good tenant can take some time, therefore to avoid the screening process every year, it is best to select only high-quality applicants that will stay for a long time or renew their lease. Forget all the headaches caused by tenants, get Tenant Screening Services, LLC to do a tenant screening background check and get some peace of mind.